Israeli forces have re-imposed a set of harsher restrictions on the movement of people and goods as well as on the fishing zone in the Gaza Strip. Meanwhile, as the situation escalated on Wednesday, 17 October 2018, Israeli aircraft fired 17 missiles, in 11 airstrikes, onto security sites, empty plots of land, as well as into populated areas in the Gaza Strip. One Palestinian was killed as a result of the airstrikes and three others were injured, one of them seriously. The attacks spread panic among the population, especially among children, who were at school during the airstrikes. Documentation by Al Mezan Center for Human Rights shows that at 8:30am on Wednesday, 17 October 2018, Israeli military aircraft fired two missiles at a farmland in the area of Teen Wanees, in Beit Lahia city, North Gaza. Naji Al-Za’anin, 25, was killed in the attack. Doctors at the Indonesia Hospital stated that Al-Za’anin was dead upon arrival at the hospital and that he had been hit with shrapnel on various parts of his body. At 7am the same day, Israeli aircraft fired one missile at a site of the National Security Forces near the Al-Sowaydia village by the border in southwestern Rafah. The site was completely destroyed and three personnel were injured and taken to Abu Yousef Al-Najjar Hospital in Rafah. Doctors stated that Hashem Abu Jazar, 34, was seriously injured. Mohammed Abu Ratima, 30, and Hamdan Abu Mousa, 36, suffered moderate injuries. In a separate incident, at 10pm on Tuesday, 16 October 2018, doctors at the Indonesian Hospital pronounced dead Saddam Al-Abed Shallash, a 27-year-old resident of Jabalia refugee camp in North Gaza. Shallash’s death followed an injury he sustained by the shooting of Israeli forces at demonstrators in northwest Beit Lahia town at 6:30pm on Monday, 15 October 2018. Israeli forces have also re-instated measures to that place increased restrictions on Palestinians in Gaza, considered collective punishment. On Wednesday, 17 October 2018, Israeli authorities announced that Kerem Shalom crossing would be closed and that the fishing zone would be decreased to three nautical miles. Al Mezan reiterates its condemnation of the attacks that fail to comply with international law and harm civilians. Al Mezan also condemns the continued collective punishment measures imposed by Israeli forces on the Gaza Strip. Al Mezan affirms that the re-instated restrictions serve only to exacerbate economic and human rights conditions in Gaza. Al Mezan urges the international community, led by the Parties to the Fourth Geneva Convention, to seek an end to the closure of Gaza, provide meaningful protection for Palestinians throughout Gaza and to ensure respect for international law. The duty to protect civilians is a principal legal requirement and is, at this point in the conflict, a test of the authenticity of the international community’s commitment to their legal obligations, moral standards and humanitarian objectives vis-à-vis the Palestinian population. 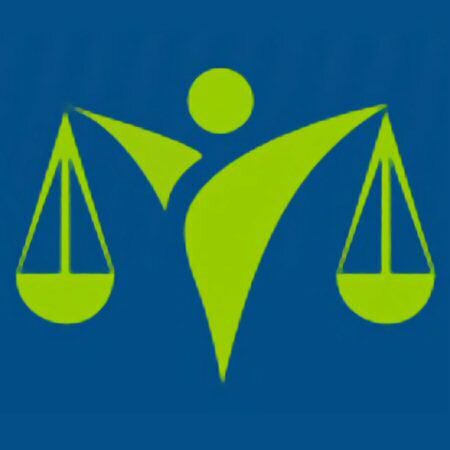 Al Mezan stresses its position that the failure to hold to account perpetrators of human rights and international humanitarian law violations encourages the advancement of harmful policies and practices, such as the increased restrictions imposed this week. Al Mezan therefore calls on the international community to activate accountability mechanisms to ensure that violators are brought to justice in accordance with international law, including international criminal law.